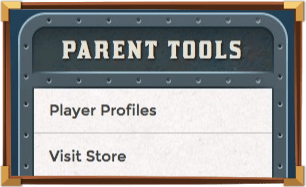 Creating a Parent Dashboard will allow you to administer your children's player accounts, including enabling/disabling chat, reset their password, and revoke their access. Logging in as a Parent will grant access for this episode to up to 5 players that are already associated with your Parent Dashboard. Create a new player account which will be associated with this account. Your child will be able to customize their character later. Your purchase will be applied to this new player account. Does your Child already play The Aetherlight? Create a free player account for your child. They will have the chance to customize the way their character looks later. It looks like this user already has access, you don't need to buy again. We suggest choosing a different user. Please choose which of the players associated with your account you would like to apply this purchase to. Uh oh. We've checked your account and it looks like you aren't eligible to buy this product, but can we suggest something else? Why not take a moment to log into your parent dashboard? On your dashboard you can create players for your child, associate existing players, and manage their accounts. We've emailed your gift certificate to you. Please try again or contact support if you repeatedly see this message. Thanks for redeeming a code! 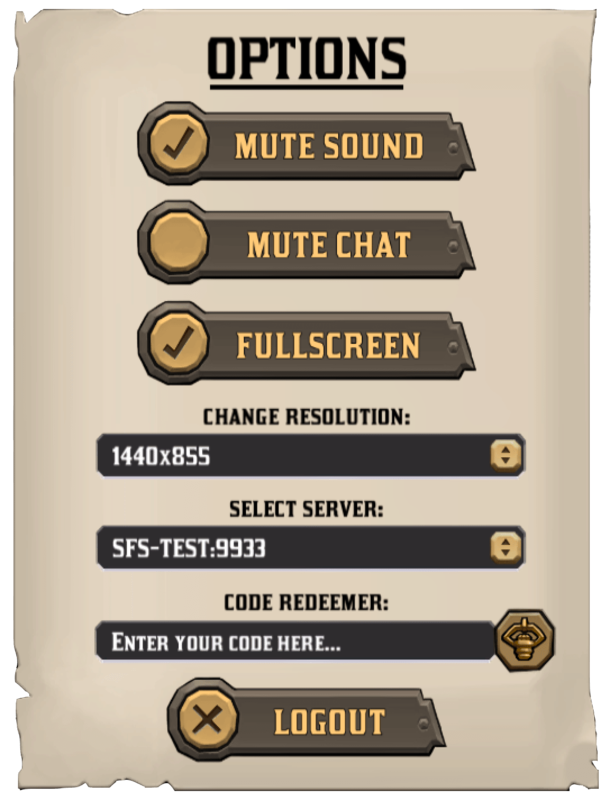 Whilst you are logged in, click the option menu cog on the bottom right of your screen to find the code redeem box. 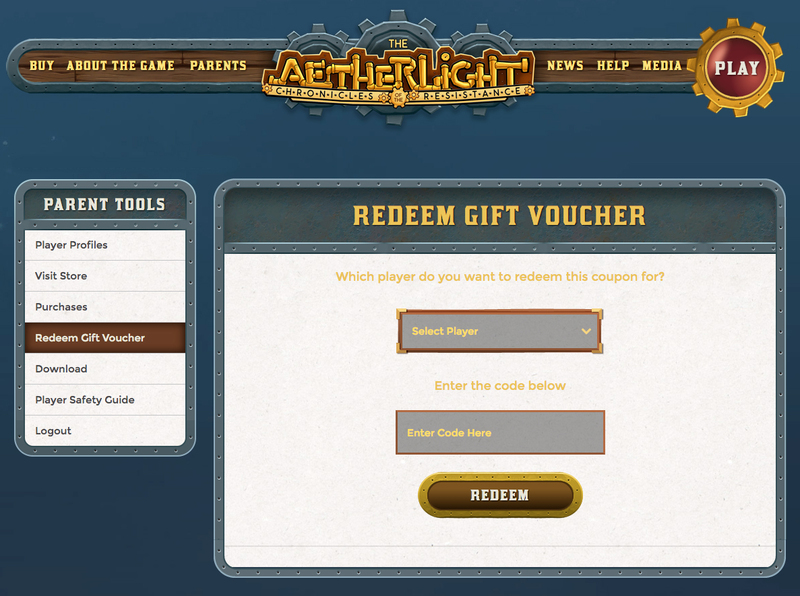 You can redeem a code for your child by logging into your Parent Dashboard and selecting "Redeem Gift Voucher" from the menu.